Xavier Mah: A make-up brand which women should not be deprived off! A make-up brand which women should not be deprived off! Courtesy of Winnie Loo, the Founder and Chief Creative Director of the premier and leading hairstyling salon and academy, A Cut Above, I was extended an invitation to the Launch of Max Factor & False Lash Effect Mascara. This grand event was held at Luna Bar, Menara Panglobal. The event was started a bit late as it was raining cats and dogs. Anyway, everyone was seem enjoyed themselves at the event. I managed to catch-up with friends, there were Michael Andreas, Hafiz aka Anak Emak, Dennis Lau, Kak Intan, Edmund, Joanne Lau, Datin Maylene, Iring, Chermaine Poo, ex boss, Richard Teo and etc. Well, it is always nice to meet up with friends at the event. The name Max Factor has become synonymous with beauty and fashion to millions of women in all parts of the world. Since its official founding in 1909, Max Factor has developed countless make-up innovations and in fact coined the word “make-up”. The man himself, Mr Max Factor, designed the looks of the Hollywood stars of the day such as Joan Crawford, Bette Davis, Rita Hayworth and Katherine Hepburn. Well, it's important for us to know the history of the brand and understand how the brand evolves. 1909 Max Factor business is officially founded. 1916 Max Factor was a pioneer in the invention of early eye make-up including “Eye Shadow” and “ Eyebrow Pencil” available to women everywhere as a general beauty product. 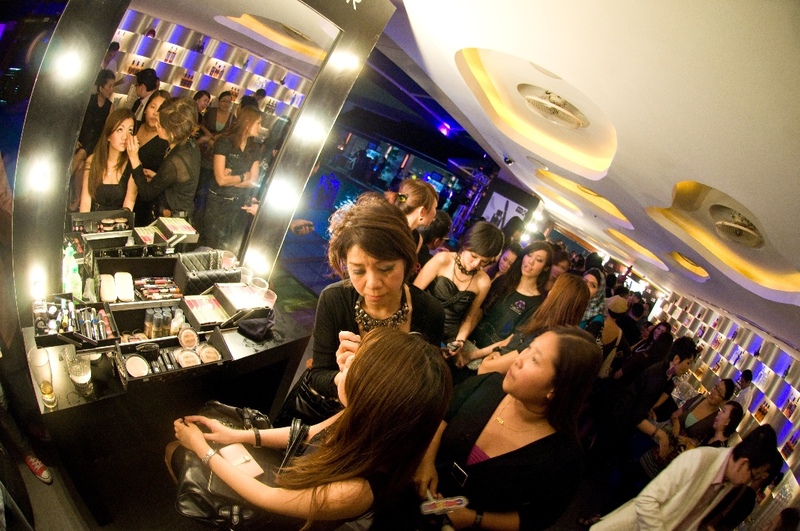 2010 Max Factor was launched in Malaysia- the 75th market worldwide. After knowing the history and stories of Max Factor, let's have a chat with this superwoman who was the selected make-up artist for Max Factor, Winnie Loo. Winnie, congrats to you! Thanks for the informative answers! X: Winnie, what beauty means to you? W: To me beauty is not about the clothes you wear, not the car you drive or the house you live in. Such maybe termed as beautiful life but beauty to me can be many things, a compassionate heart full of grace, love n humility and especially what is inside of a person. Or perhaps a genuine smile n lend a hand to those in need is so beautiful. Beauty to me is what comes from within n from the heart. X: What kind of make-up that you would recommend to ladies who are having busy-hectic lifestyle? W: I would suggest less is more for the busy ladies on the go. A light foundation or a tinted moisturizer works wonder too. Eyeliner is a must with a touch of mascara to bring out the eyes n a nice color for the lips will make the whole look complete. X: In general, how do you see the make-up industry in Malaysia? Are we far behind other countries? W: Generally make up amongst Malaysians are on the rise. An average person will own a few products in their make up bag. We may be slower in getting the latest products but will never be slower in accepting make up compare with other countries as many Malaysians travel a lot n we are also influenced by many good marketing campaigns which are in our shore. X: What do you like about Max Factor? Why? W: Max factor is a brand I knew from my early years n have always been a great product before the range exit Malaysia. It is now a brand known as Make up for Make up artists. I like their good range of foundations n ample choices of mascara n lipfinity range. X: From your point of view, what are the differences between Max Factor and other make-up brands in the market? W: My point of view will be Max Factor is own by power house Proctor & Gamble and with R&D of such cosmetic giant I am certain latest break thru will always materialize and having Pat Mcgrath as their global make up artist will have an advantage in the creative world of make-up. Max Factor has always been famous for their foundation n their mascara and will always be ahead of the game. X: You were the selected make-up artist (brand ambassador) for Max Factor. 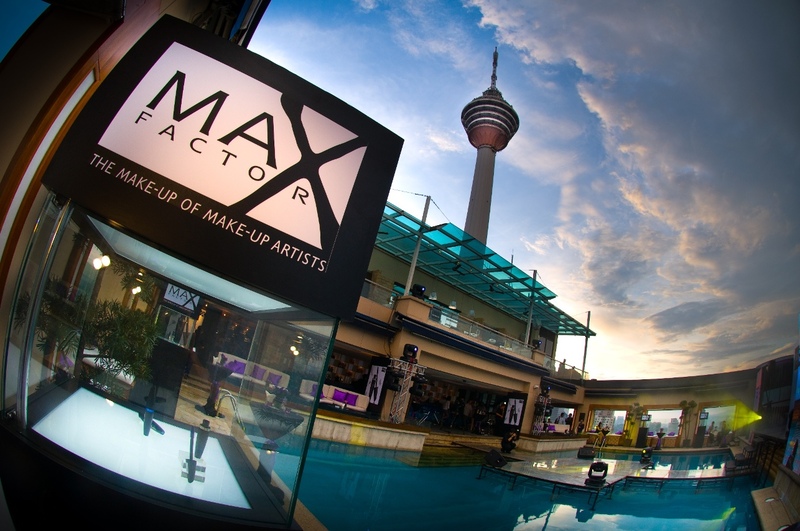 How will you bring Max Factor to another level in Malaysia market? W: Max Factor is a brand that is rich in history n having provided make-up artistry for women around the world since 1909. As the selected make up artist for Max Factor, I will be involved with many ground events to engage with Max Factor users to share the latest trends n looks. I am certain with my already good forte in the hair industry I should be able to create more awareness even amongst our clients n Medias n friends n with the support of StarAsia n their Pr agency I am certain Max Factor will be soon be people's choice. X: How Max Factor helps to beautify the ladies in Malaysia? W: With more counters rolling out in all major departmental stores and all over Malaysia, I am certain more ladies will have the opportunity To' explore and try out the range. Definitely there is a range for everyone. Especially the lip color range in Lipfinity where ladies do not have To' worry about lip color disappearing from their lips as the colors stay really well after many hours. 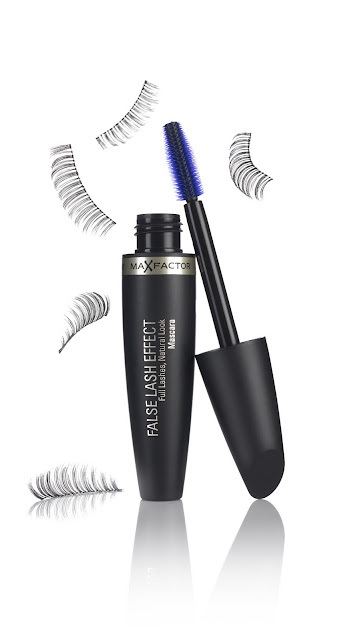 X: Max Factor launched its new product, False Lash Effect Mascara. Is there a major difference between putting on false lashes and applying false lash effect mascara? W: Not many people are good in fixing eyelashes and not unless one is good in fixing it, it can be messy n tedious to fix it to look natural while with putting on FLE mascara one can easily glide the mascara on the lashes of their eyes. For those shorter natural lashes one just have to apply two more rounds to get the thicker longer look. It is always challenging to learn so why not learn to be more beautiful. See, her answers are so professional! To those who want to be successful like Winnie, you must learn from her positive attitude towards her job. No matter where is she, she is still very down-to-earth and humble. I wish I can be like her one day. Guys, let's work hard! Even though there are people dis-encourage you, please don't give up! Do your best! Finally! I've been waiting for it to come to malaysia! Winnie is a great women, proud if her! Never afraid to dream big! You must tell yourself you can make it happen! Don't give up, The minute you think of giving up, think of the reason why you held on so long! Come on... let's us together for own dreams work hard, Gambate! you wish with your $10. Some individuals are having issues choosing which class once they play with MMORPGs they want to be,. is the greatest I've came upon so far. However, what in regards to the bottom line?